There was a very interesting article in this months HBR by Gary Hamel and Michele Zanini titled “The End of Bureaucracy” with an interesting example of how a Chinese company Haier, has adopted a very interesting business model to make it more efficient and agile in the market place. They have adopted the concept of ME (Microenterprises), whereby there are over 4000, each with 10-15 employees that serve the company both internally and externally. The employees are directly accountable to customers, which the CEO describes as “zero distance”, where the employees are energetic entrepreneurs. The concept of small self-contained work forces is nothing new, and W.L. Gore is another example. Gore encourages belief in the individual, organisation around small teams, recognition that people are in the same boat, and that all must “take the long view.” In their practices among other things, employees are equals (associates), who decide what projects to work on based on “their passion”. The company discourages plants with more than 250 associates, to promote intimate communication and team work, and though others “look at this as an unbelievable expense, we see this as a catalyst of growth,” says Terri Kelly previous CEO. The principles of Gore and Haier are similar, small teams foster better communications, less hand-offs and opportunities for generating “Transactional” waste. These concepts are well understood in the lean community. Based on my own consulting experience, smaller high functioning teams are definitely more energetic and efficient. However we need to differentiate between processes and systems and unnecessary paperwork leading to bureaucracy. I recall quite a vociferous discussion on the 80/20 rule in front of a large maintenance team at a consulting engagement in Russia. The team were arguing against the 80/20 rule on the basis it could trigger a higher than acceptable risk. Their argument was that in maintenance on critical processes you need to be 100/0. This is clear, but I had to explain the difference between an engineering process and a management process. If we take an aeroplane design every detail matters, but a process for structured brainstorming can be 80/20. This is in line with agile thinking. Success is knowing what is required when, and this is not always obvious to everyone all the time. This is where an experienced leader can challenge/question these processes from a lean perspective and ensure they are fit for purpose. Fit for purpose, is the key expression as it is critical not to take shortcuts in key design processes. I have seen some environs where the “Elimination of Bureaucracy” is a rationale for short-cutting some critical processes. 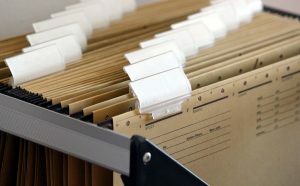 The definition of bureaucracy is critical, as unnecessary bureaucracy is really a lean “waste” and it is waste we want to eliminate, so we can have more efficient processes. As always, improvement is about striking the correct balance. Let’s not jump to conclusions or make incorrect assumptions.